Founded in 2010, Rescue + Freedom Project is a unique program run by the Animal Rescue, Media, and Education charity. R+FP negotiates with laboratories around the world to secure the release of dogs and other animals, giving them a chance at a normal home life after everything they have endured for vanity and scientific curiosity. Our charity of the month uses the rescues to draw public attention to the plight of animals languishing in labs and to promote cruelty-free lifestyle choices everyone can make. The beagles act as ambassadors who give faces to animal testing victims and remind the public that these animals are not just furry test-tubes, but dogs no different from their pets. 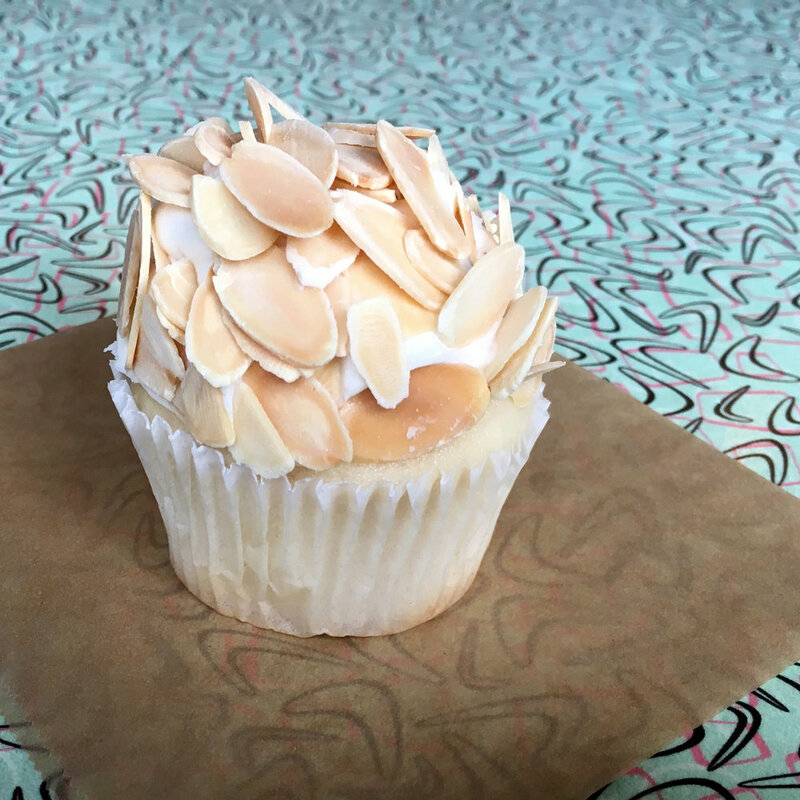 For each almond creme cupcake (vanilla cake topped with almond frosting + toasted almonds) sold this month at Sticky Fingers, we’ll donate $1 to support Rescue + Freedom Project (RFP). Eat cupcakes for charity! Kids in Need of Defense serves as the leading organization for the protection of children who enter the U.S. immigration system alone. Our charity of the month achieves fundamental fairness through high-quality legal representation and by advancing the child’s best interests, safety, and well-being. KIND staff and pro bono attorney partners at law firms, corporations, and law schools nationwide represent unaccompanied immigrant and refugee children in their deportation proceedings. Together, KIND ensures that no child stands in court alone. For each almond creme cupcake (vanilla cake topped with almond frosting + toasted almonds) sold this month at Sticky Fingers, we’ll donate $1 to support Kids in Need of Defense (KIND). Eat cupcakes for charity! Sticky Fingers Holiday Cookie Tin: one pound of our sugar, mini chocolate chip, phat mint, ginger + thumbprint cookies—a gorgeous gift for yourself, family, or even Santa! Charity of the Month Cupcake: We’ll donate $1 for each EGGNOG CUPCAKE (vanilla cake topped with eggnog frosting + buttercream holly) sold in December to support Poplar Spring Animal Sanctuary. Eat cupcakes for charity! Poplar Spring Animal Sanctuary, a 400-acre non-profit refuge for farm animals and wildlife located in Poolesville, Md., offers care, rehabilitation, and permanent sanctuary for neglected, abused or abandoned farm animals, provides protected habitat for wildlife, furnishes information to the public regarding farm animal and wildlife issues, and promotes compassion and humane treatment for all animals. For each egg nog cupcake (vanilla cake topped with eggnog frosting + buttercream holly) sold this month at Sticky Fingers, we’ll donate $1 to support Poplar Spring Animal Sanctuary. Eat cupcakes for charity! Orders can be picked up from Nov 10. From Nov 17, we’ll have a limited number of pies available for walk-ins…but don’t gamble with your pie needs! We strongly encourage you to pre-order so you won’t be left pie-less and blue. Common Good City Farm is an urban farm and education center growing food with and for low-income residents in Washington, DC. Our charity of the month also provides educational opportunities for all people that help increase food security, improve health, and contribute to environmental sustainability. Please join us in supporting this fantastic organization! For each of these beautiful charity-themed cupcakes (apple spice cake with vanilla frosting & crumb topping) sold this month at Sticky Fingers, we’ll donate $1 to support Common Good City Farm. Eat cupcakes for charity! Cupcake for Common Good City Farm, our charity of the month: We’ll donate $1 for each special cupcake (apple spice cake with vanilla frosting & crumb topping) sold in November to support Common Good City Farm. Eat cupcakes for charity! On October 1, 2002, we opened our doors for the very first time to serve you. 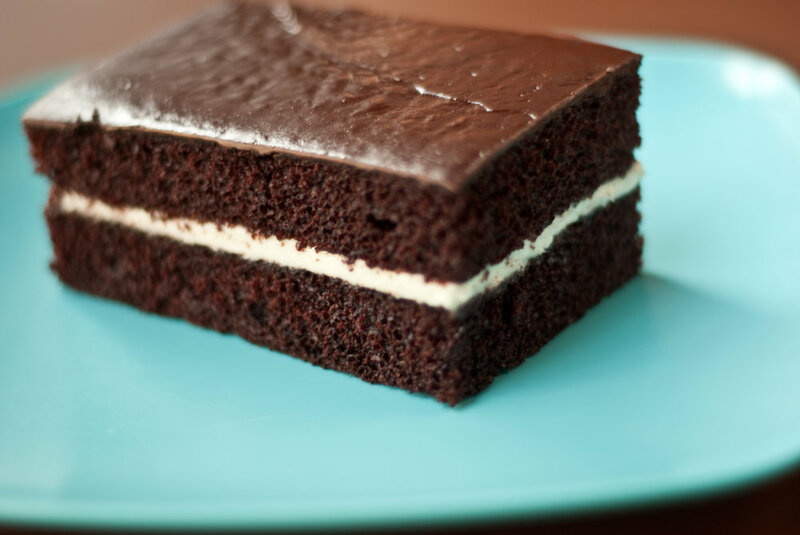 We’re humbled by all the support we’ve received from each of you and so honored you’ve let us fill your bellies with billions of Little Devils, Cowvins, Sticky Buns, cupcakes, donuts, savories, and more. Here’s to another 15 years! Hurricanes Harvey and Irma caused untold devastation and left countless animals in Texas and Florida without food, water, shelter, or, for many, hope. Thankfully, Brother Wolf Animal Rescue’s Rapid Response Team deployed and was on the ground—and in the flooded streets—and rescued desperate animals in need. We’re in awe of their efforts and hope you’ll join us in celebrating and supporting our October charity of the month. For each of these beautiful charity-themed cupcakes, available in chocolate and vanilla, sold this month at Sticky Fingers, we’ll donate $1 to support Brother Wolf’s Rapid Response Team. Eat cupcakes for charity! Charity of the Month Cupcake for Brother Wolf Animal Rescue’s Rapid Response Team: We’ll donate $1 for each charity-themed cupcake sold in October to support Brother Wolf Animal Rescue’s Rapid Response Team. Eat cupcakes for charity! Halloween Cupcakes: eerily delicious & available from Oct 11!